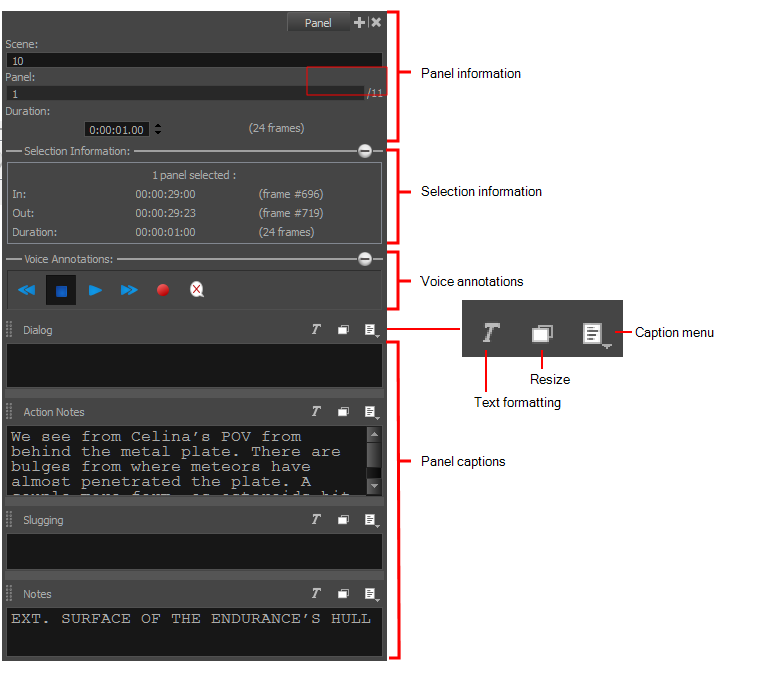 This section of the Panel view is where information, such as the duration of the current panel, name of the current panel and name of the scene in which it is part of is displayed. 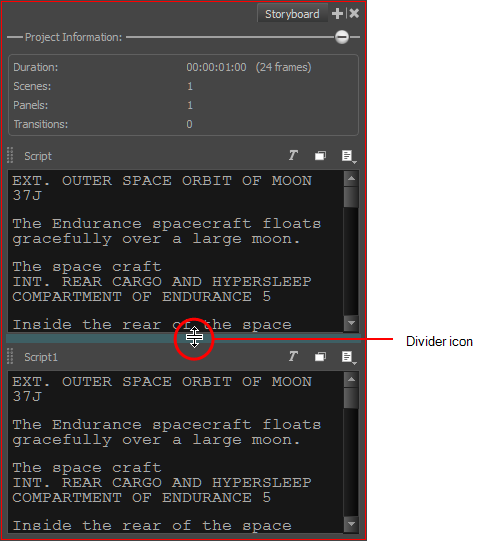 It is possible to edit some of the fields—see Script and Panels on page 1. Dialogue: Type or copy/paste dialogue from your script that occurs during this shot in the current panel. Action Notes: Type or copy/paste notes related to the action occurring in the panel. Slugging: Add notes referring to the timing of the storyboard. Slugging is the timing of the individual recorded lines of dialogue against the board. Notes: Add anything relevant about the current panel or the shot it represents. For example, the crew working on the shot, required props, ambient sounds, continuity notes or required equipment to complete the shot. ‣ Click the Resize button. The panel resizes to display the panel to its fullest extent, show a mid-sized panel or collapses the panel to hide its contents. ‣ Hover over a bar between two panels. When the bar turns blue and the divider icon appears, drag up or down to resize the panel.